Chase Adrenaline | Bringing extreme sports news to you, so you can spend your time adding to it. Bringing extreme sports news to you, so you can spend your time adding to it. They’re on our radar again. The snowboard-inspired clothing line, owned and operated by two local 15-year-old shredders, is looking for the next big riders to sponsor. “With the help of the ‘Shred for Drake’ shirts, Vexum has really taken off, and we think it’s time to build a street team of both snowboarders and skiers,” Jacob Roscoe, Vexum owner said. To be eligible, teams of four riders (skiers or boarders) should create a short film to be entered by noon on Feb. 3. The films will then be premiered at Sun Valley Sports, 6-9 p.m. Feb.7. 1 Vexum hoodie/T-shirt per member. As an added bonus, Vexum will choose one rider from both the first and second place videos to be sponsored by the clothing line. Roscoe said they are looking for originality and solid bangers when choosing winning videos. The price to enter the video contest is $25 per team. To enter, visit the Vexum blog. Vexum, previously known as Lumen, is owned and operated by Jacob Roscoe and David Ross. The 15-year-old boys started the company on a whim after a creative study hall. The company, now on its second line, creates T-shirts and sweatshirts with extreme sport enthusiasts in mind. 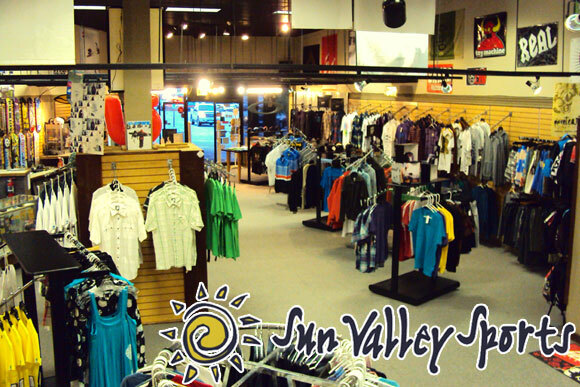 Sun Valley Sports is the largest extreme sports store in Northeast Ohio. Located in Fairlawn, it sells extreme sports gear, clothes and shoes. The shop also participates in the Northeast Ohio extreme sports community. The lovely state of Ohio has given us another day off riding with the recent heat wave and closed home resorts. So in an effort to keep your spirits up, here’s the second episode of Mark Gilc’s “Grilosode” Series straight from the European Alps (and yes, those are hard boots). As the U.S. Airbag crew stood outside the new Brandywine bar, they joked about giving $1,000 to anyone who can successfully throw a triple cork at the BmBw U.S. Airbag event that weekend (Jan.4-6). 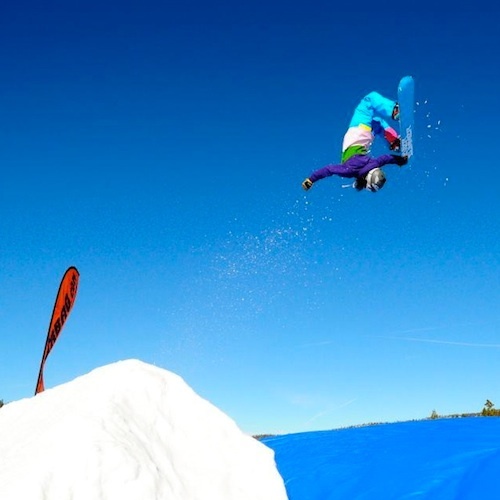 So as the airbag makes it to your local resort this winter, take advantage of the “softest AiRBAG in the industry,” and go big or get creative. 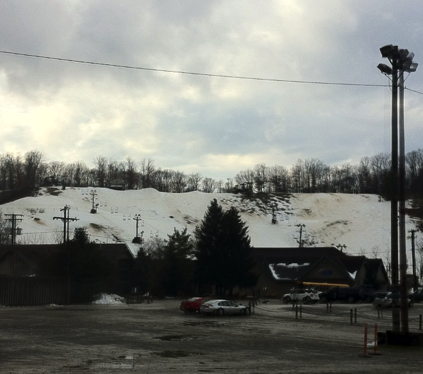 The airbag will be at Mad River Mountain Jan. 18-20 and Seven Springs March 15-17. For more dates in both the West, Midwest and East Coast, check out USAirbag.com. She is a Pit Bull. 14-year-old creator of PitBull Skate Lab. Gehringer explained that he has always had a passion for helping animals. Combine that with his love of skateboarding and you have PitBull Skate Lab. “PitBull Skate Lab is a non-profit skateboarding company that was created for one reason… to help spread the awareness of pit bull abuse and abandonment,” Gehringer said. 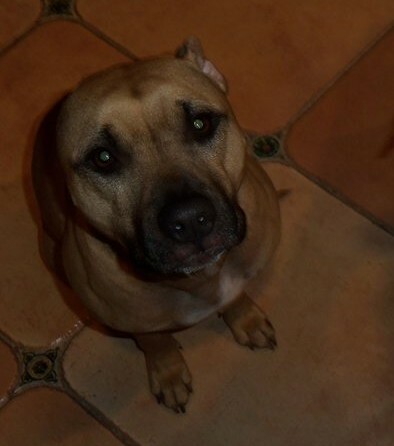 He believes that Pit Bulls are the most stereotyped and misunderstood breed of dog. He says that just because they are the most common breed used for fighting, does not mean they are more vicious than any other breed of dog. He describes the anger he’s felt when walking his dog and another owner turns to walk their dog away from his. That is why awareness of Pit Bulls, as much as contribution to abused Pit Bulls, is his main goal with PitBull Skate Lab. 8 skateboard decks, including one that says “F**k Vick” and “Blame the deed, not the breed.” Each deck is $44.99. or 4 types of grip tape, including psychedelic tie-dye, for $19.99 for 9×33 inches. BoardPushers is a Colorado company that creates decks and grip tape for organizations such as PitBull Skate Lab. These organizations design the products, but the customers are still essentially buying from BoardPushers, with some of the proceeds going to the organization they bought through. Gehringer has designed the decks and grip tape, but does not buy them until you place an order. In this way, he does not have to front any money and can give 100% of the proceeds (after BoardPushers has taken out its cut) to Pit Bull rescue organizations. Gehringer is currently promoting his organization through local skate parks and word-of-mouth. He hopes to raise over $1,000 for a Pit Bull rescue organization. He is considering creating PitBull Skate Lab T-shirts as well. If he was to create T-shirts, then he would need to use 5% of is proceeds to order them, rather than giving that straight to Pit Bull rescue organizations. Although, T-shirts may in the long run generate more donations because T-shirts are more likely to sell. You can also find PitBull Skate Lab on Facebook. *In my initial interview with Gehringer, I failed to ask exactly how much money is leftover after BoardPushers takes out its cut and exactly which Pit Bull rescue organization he gives his profits too. I have emailed him back and will have that information up soon. What do you get when you add Sun Valley Sports, Stuck in Ohio, and Vexum Supply Co. together? Sales. Movies. Give Aways. Food. Drinks. Sun Valley Sports teamed up with Stuck in Ohio to bring you a night full of products, discounts and entertainment. The event, which takes place Friday from 8-12:30 p.m. will feature special prices on ski and snowboard packages. Stuck in Ohio will be playing its movies throughout the night while handing out stickers and exclusive T-shirts! 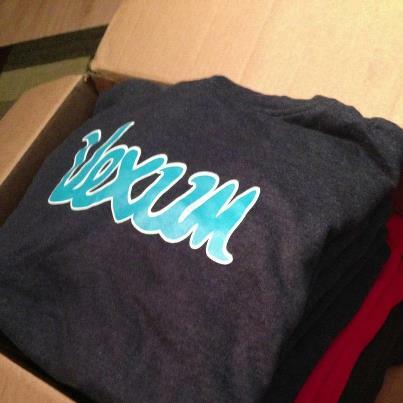 Vexum Supply Co. will also be premiering its new line of extreme sports apparel! 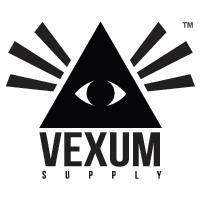 A little about Vexum Supply Co.
Not only are the boys young and innovative, they are charitable. They donate 30% of profits to a different charity every month. This month, in honor of thanksgiving, the boys are donating to the Cleveland Food Bank. So support the next generation of entrepreneurs and come see the new line premiere Friday during the Midnight Madness event! The video production crew, influenced by the extreme sports industry, captures the passion and skill of Ohio extreme sports. Although they do not live in the ideal location for the sports they partake in, their name is not meant negatively, but rather to honor the state they love so much. The crew films everything from longboarding, skateboarding, snowboarding, wakeboarding, skiing, mountain biking and bmx. You can find them on Facebook, Twitter, Vimeo and Youtube. The shop works with many youth in the area to spread both the stoke for extreme sports and importance of protective gear. It has sponsored many events such as the Akron IGSA Race and most recently the Hawaiian Slide Jam in Indiana. 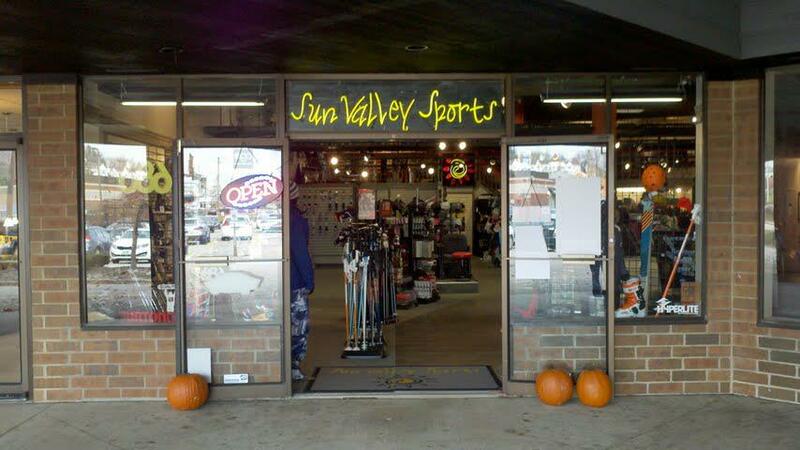 Sun Valley Sports will also be taking on a large presence at Brandywine and Boston Mills Ski Resorts this winter, so make sure to check them out! And in case your looking for something to do Saturday.. The Civic Theater is hosting the annual Warren Miller movie at 8 p.m. Saturday. Warren Miller is best known for his stunning photography and witty narrative humor throughout his ski movies. Although he has since passed, his son carries on the family business with Warren Miller Entertainment.